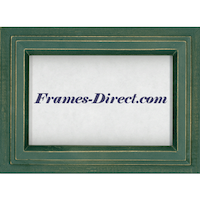 Frames Direct is a low cost leader in the category of direct to consumer frames for photos, certificates, and posters. This brand has only a small social presence on social media (their Facebook page) and operations in rural Illinois, and has a clear focus on creating the best frames for the lowest possible price! We found a high-quality 5×7 mahogany wood photo frame for $2.00 on the day of our review, along with poster frames from $8.99, and certificate frames starting at an almost unbelievable price of $0.89! That’s 89 cents. Without any doubt, Frames Direct is our low-cost favorite in direct to consumer frames. Check out their website at Frames-Direct.com to see these deals for yourself!